In using the Kirtland Egyptian Papers (KEP) to discredit Joseph's "translation" of the Book of Abraham, it is assumed that these papers show that Joseph and his scribes thought that single Egyptian character could magically represent vast chunks of English text. In addition to the evidence that the Book of Abraham translation appears to predate whatever was being done with the Book of Abraham text in the KEP, one important question is whether these men really thought such a thing was possible. Rather than relying on circular arguments to show us what they might have thought, let's take a look at an important example where W.W. Phelps explicitly equates some Egyptian text to an alleged translation. This comes from a document, "Notebook of Copied Characters, circa Early July 1835" by W.W. Phelps. Take look at the English "translation" and guess how many Egyptian characters were needed to produce it. Katumin, Princess, daughter of On-i-tas King​ of Egypt, who began to reign in the year of the world, 2962. Katumin was born in the 30th year of the reign of her father, and died when he was 28 years old, which was the year​ 3020. Looks like 45 words from Katumin to 3020, counting each number like 3020 as a single word. If each digit requires a word, then we might say there are 53 words. So many how many characters of Egyptian would this require? Go ahead and guess before reading. This is a fairly brief English text, so, if the other "smoking gun" manuscripts show 1 character can represent as many as 160 words in the Book of Abraham, then maybe around 0.3 or so Egyptian characters, would be needed here, right? Rounding, we might say approximately 0 characters, or 1 if we insist on rounding up for "practical" reasons. Though it's unclear to me how to break up some of these, I conservatively estimate over 40 characters are present, probably about 47. So Phelps seems to have had the impression that 47 characters of Egyptian could represent around 53 English words. Not several thousand. Not an entire book. One can argue that there's an emendation to the English, with "in part" inserted to the right of "next page," but with much lighter ink (or pencil? ), clearly at a different time. Did Phelps later think that maybe there was more yet English that could be derived from the Egyptian? Perhaps. But when he wrote this, not long after the translation of the Book of Abraham had begun, the idea that three lines of Egyptian could give about four lines of English did not seem implausible. There's no hint that he really meant that a single one of those characters was all that was needed to give that text. Whatever was going on with the juxtaposition of some already translated text with a few lone characters of Egyptian on the side of some pages from a fraction of the Book of Abraham, Phelps' statement about translated Egyptian here suggests that they didn't really think Joseph was creating many lines of text from a single character or fraction of a character. This is another important piece of evidence that needs to be considered before letting one's assumptions become imagined bedrock in the case against the Book of Abraham. Many questions and puzzles remain, this documents can clarify some issues. One should also note that another scribe, Warren Parrish, would later turn against Joseph Smith. If he thought Joseph was making up large passages from a mere character or part of a character, such a ridiculous notion might well have been one of the arguments he could raise against the impostor. But such an argument was never raised. Witnesses, rather, spoke of Joseph translating a long scroll, not a tiny line of Egyptian text. The characters on the left of some Book of Abraham text simply can't represent Joseph's translation in action. Granted, what Phelps gives us as the translation is wrong. If he got that from Joseph, he was wrong about that. I don't know how it was translated and by whom. It would probably be part of the attempt to figure out Egyptian, apparently relying on the miracle of the translation to give them tools for learning on their own. But though that human effort was misguided, it doesn't tell us about the "translation"/revelation process (whatever it was, from whatever source was used) that created the revealed text in the first place. 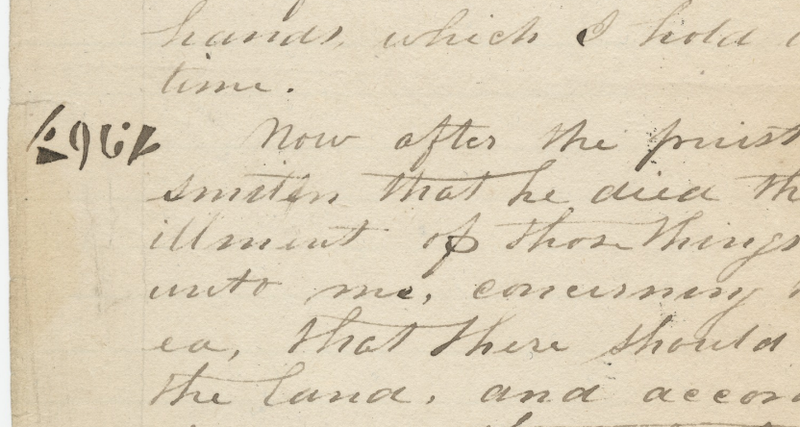 Curiously, prior to purchasing the Egyptian papyri in 1835 Kirtland, Joseph Smith and others already seemed quite interested in ancient languages, particularly the pure language of Adam. From a document titled, “A Sample of pure Language given by Joseph the Seer as copied by Br Johnson,” which was probably drafted in Hiram, Ohio, in March 1832, we find a series of questions and answers concerning how the names of God, Christ, angels, the earth, and man would be pronounced in the pure Adamic language. It seems that interest in a pure language was still present in the first half of 1835 as well. On the back of a letter, which W. W. Phelps wrote to his wife, Sally, dated May 26, 1835, Phelps added what he termed, “A Specimen of some of the ‘pure language.’” Beneath this title Phelps drew several columns placing characters in one column, terms in another, and explanations in a third. Interestingly, as we shall see, this same lexicographical scheme continues into the more intense Egyptian program that emerges after the reception of the Egyptian papyri. 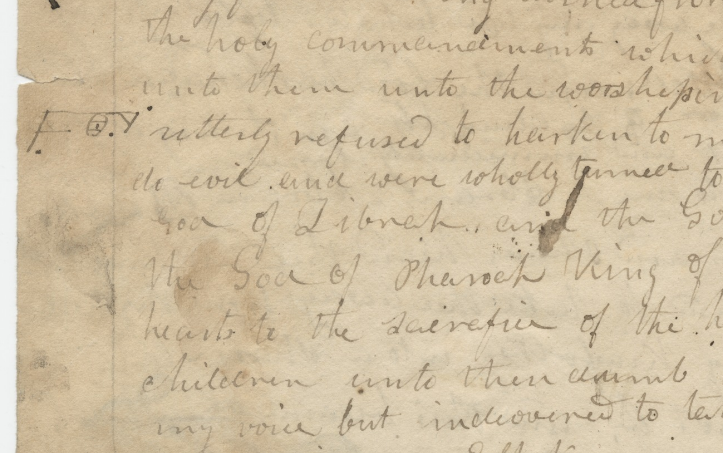 Two other considerations of Phelps’s May 1835 letter may evidence some kind of an ongoing Egyptian language project occurring before the arrival of the mummies and papyri in Kirtland. First, the three Egyptian alphabet documents (EA) employ the same characters as those found in the “Specimen” letter (albeit with different explanations) and, second, the first page and a half of the EA documents contain characters not associated with the papyri. In fact, it is quite apparent where the unrelated characters end and the papyri characters begin. This suggests that the production of at least the first part of the Egyptian alphabet documents predates the July 1835 arrival of the papyri. 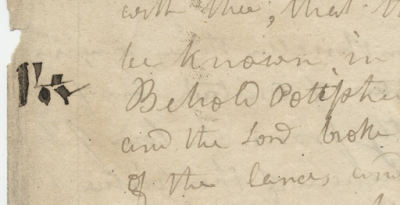 Here is an important detail: the Kirtland Egyptian Papers don't just have Egyptian characters. One of them, the Egyptian Counting paper, has a mix of multiple scripts but not a single Egyptian character. It's clear this page at least could not possibly be of any use in even pretending to "translate" Egyptian. So what was going on? As I previously discussed, William Schryver's hypothesis is that "Egyptian" was synonymous (for W.W. Phelps and possibly others) with "pure language," a reasonable point, and more controversially, that the Kirtland Egyptian Papers project was a short-lived attempt to equate chunks of English with brief characters not for the purpose of translating the characters, but for encrypting the English. But we don't have evidence showing that such encryption was used, apart perhaps from whatever was being done with the Egyptian characters and concocted composites of Egyptian characters that were placed in the margins of 3 manuscripts that had a fraction of the Book of Abraham copied onto them. Maybe Phelps wanted to encrypt, but maybe he was seeking to understand how "pure language" might allow various characters, especially but not exclusively those from the Egyptian scrolls, to convey complex, detailed ideas. Joseph may have been interested in the work as well from an intellectual standpoint, but whatever the goal was of the Egyptian Alphabet and Grammar and related documents, they seem to be dependent on an existing translation, not the other way around. 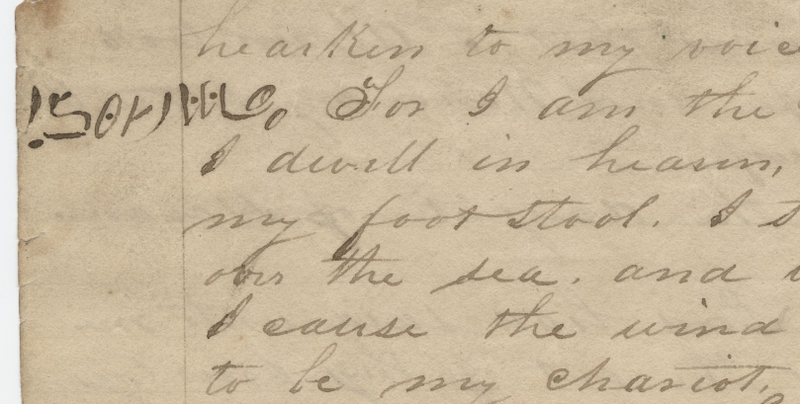 The May 1835 letter of W.W. Phelps to his wife. Click to enlarge. The same six characters from Phelps, written before he ever saw an Egyptian scroll, are now part of the Egyptian Alphabet and Grammar that we are supposed to believe that Joseph Smith used to translate the Book of Abraham. 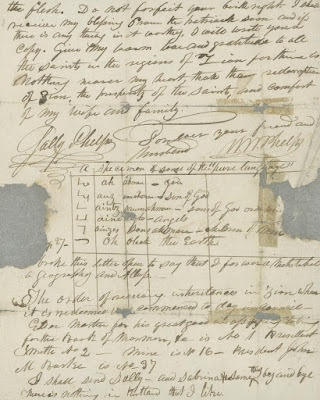 This letter may be one of the most important documents to consider when understanding what the Kirtland Egyptian Papers mean and what they represent. The letter uses the same format in the Egyptian papers (three columns, one for characters, one for the sound ascribed to them, and one for the English "translation" or associated text), similar to the columns used in the Book of Abraham manuscripts that are said to show how Joseph created the translation, even though they are much more likely to have been copied from an already completed document (see my posts, "The Smoking Gun for Joseph's Translation of the Book of Abraham, or Copied Manuscripts from an Existing Translation?," and "My Hypothesis Overturned: What Typos May Tell Us About the Book of Abraham"). 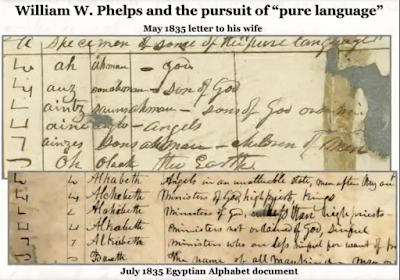 The letter compared to the Egyptian Alphabet and Grammar appears to reflect W.W. Phelps' thoughts and creativity regarding "pure language"/"Egyptian." Since Phelps is using characters from his pet project that he had written before he saw real Egyptian, is this document really showing us how Joseph's translation was done? Or is it a window into W.W. Phelps' thinking more than Joseph's revelatory methods? What was the purpose of this document then? Perhaps it was to encipher English, as Schryver argued, or to reverse engineer the completed translation, as Nibley argued, or to create/explore a "pure language" in some way, or to explore hidden relationships between Egyptian from near Facsimile 1 to the translated text. It's murky. 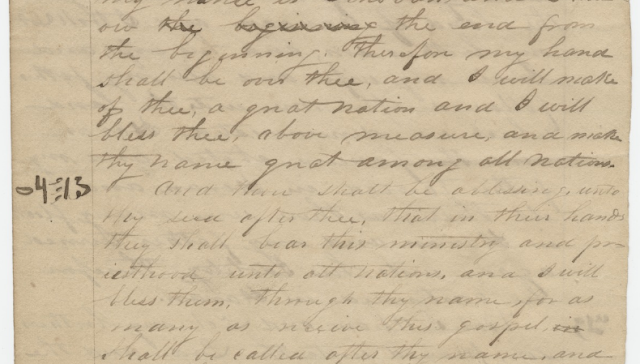 But the Alphabet and Grammar was not how Joseph did the translation, and the letter from Phelps helps us understand that, or at least undermines sloppy theories about what these Kirtland Egyptian Papers tell us about Joseph Smith. 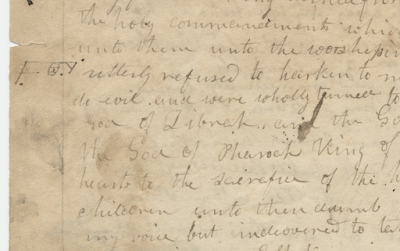 Phelps' letter is vital for more fully understanding the Kirtland Egyptian Papers. Brian Hauglid, as noted above, mentioned it and showed it in his 2015 chapter, “The Book of Abraham and the Egyptian Project: 'A Knowledge of Hidden Languages',” in Approaching Antiquity: Joseph Smith and the Ancient World, edited by Lincoln H. Blumell, Matthew J. Grey, and Andrew H. Hedges (Provo, UT: Religious Studies Center; Salt Lake City: Deseret Book, 2015), 474–511. That was before he denounced faithful LDS Egyptologists as "abhorrent" apologists and began adapting the views of some critics of the Church. Hauglid, as an editor for the Joseph Smith Papers project pertaining to the Book of Abraham, has received a great deal of well earned credit and praise for his work in bringing together and describing many early LDS documents related to the Book of Abraham, but sadly, it lacks the valuable May 1835 letter of W.W. Phelps to his wife. 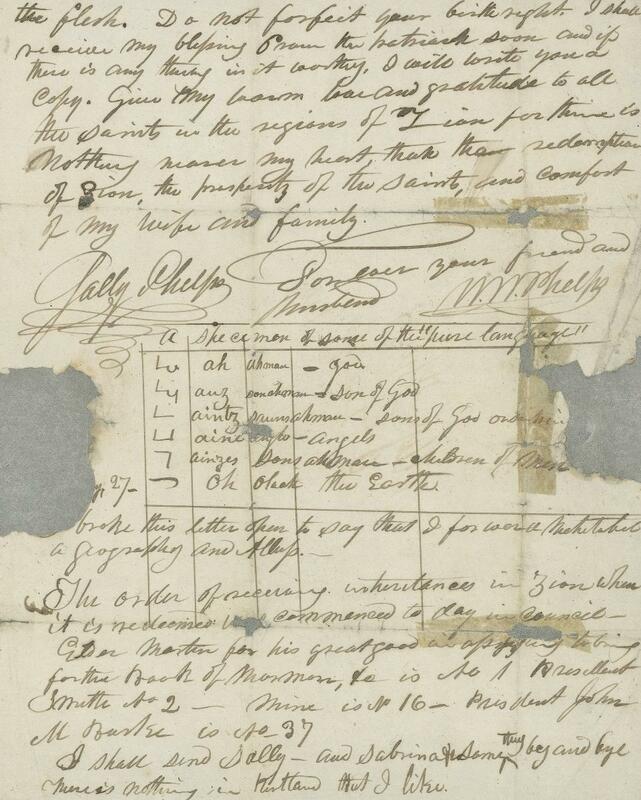 This important document is not found anywhere on the Joseph Smith Papers website, as far as I can tell. Why? An oversight? A legal issue that didn't prevent BYU from sharing it on their website? Or outside the scope of the project? But I hope they'll add it and link to it. 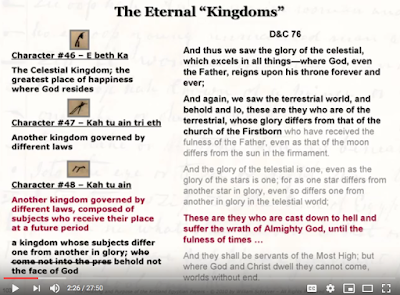 Update, April 19, 2019: While I personally wish it were there, it's clearly not possible for every tangential paper to be included within the limited scope of the project in Volume 4 pertaining to the Book of Abraham, or for the website as a whole (see a helpful comment below by Dr. Robin Jensen on this issue). But I am grateful that we can at least see the key part of it on the Religious Studies Center site. [end update] It deserves to be known. For the record, I no longer hold the views that have been quoted from my 2010 book in these videos. I have moved on from my days as an "outrageous" apologist. In fact, I'm no longer interested or involved in apologetics in any way. 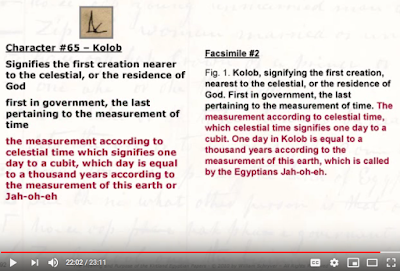 I wholeheartedly agree with Dan's (Dan Vogel’s) excellent assessment of the Abraham/Egyptian documents in these videos. I now reject a missing Abraham manuscript. I agree that two of the Abraham manuscripts were simultaneously dictated. I agree that the Egyptian papers were used to produce the BoA. I agree that only Abr. 1:1-2:18 were produced in 1835 and that Abr. 2:19-5:21 were produced in Nauvoo. And on and on. I no longer agree with Gee or Mulhestein. I find their apologetic "scholarship" on the BoA abhorrent. One can find that I've changed my mind in my recent and forthcoming publications. The most recent JSP Revelations and Translation vol. 4, The Book of Abraham and Related Manuscripts (now on the shelves) is much more open to Dan's thinking on the origin of the Book of Abraham. My friend Brent Metcalfe can attest to my transformative journey. 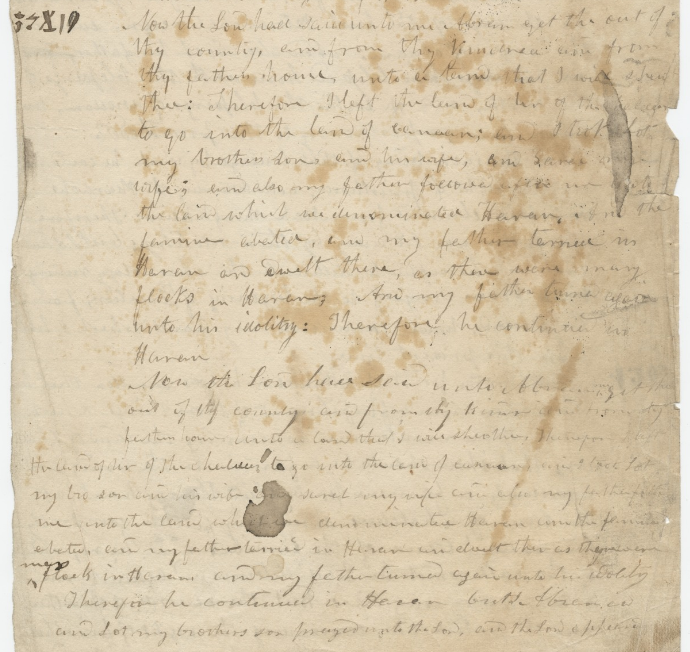 John Gee has used the Phelps letter in refuting the significance of the Kirtland Egyptian Papers as a window into Joseph Smith's translation. Meanwhile, Hauglid gave a faith-shaking (for some, as I learned from a shaken member) lecture to BYU students in January 2019 that neglected to mention John Gee, Kerry Muhlestein, or any shred of evidence in support of the authenticity of the Book of Abraham, and that also, of course, made no mention of Phelps' letter and his "pure language" fascination. 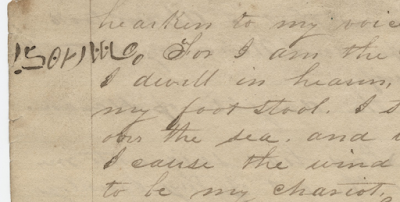 Maybe that letter is there on the Joseph Smith Papers site and I've missed it. Let me know! But I don't see the letter in my search attempts or on the links on his biography. It's certainly not included in Volume 4. Seems like it ought to be on the site somewhere, especially given its relevance to the Book of Abraham. As William Schryver has pointed out, the format of many of the Kirtland Egyptian Papers follows that format established by W. W. Phelps in work he did on the pure language in May 1835 before anyone in the Church had heard of the papyri. All of them are from his collection of manuscripts. Kirtland Egyptian Papers show the influence of his thinking and were begun in his handwriting. They show what W. W. Phelps thought. They include the famous “Grammar and aphabet [sic]” book, which has been incorrectly included as the work of Joseph Smith on the Joseph Smith Papers website. --John Gee, “Joseph Smith and Ancient Egypt,” in Approaching Antiquity: Joseph Smith and the Ancient World, edited by Lincoln H. Blumell, Matthew J. Grey, and Andrew H. Hedges (Provo, UT: Religious Studies Center; Salt Lake City: Deseret Book, 2015), 427–48. Hauglid, of course, is coming out with a book on the Pearl of Great Price co-authored by one of my favorite LDS thinkers, Terryl Givens, who, I fear, may not fully appreciate the possibility of Hauglid's approach being informed by something other than an open mind on the evidence around the Book of Abraham (seriously, the denouncement of fellow scholars and his refusal to recognize their work in his BYU lecture in January just doesn't seem scholarly, so I'm worried that this attitude may influence many choices made in the book). Will their book include a helpful review of some of the positive finds from LDS scholars, similar to the excellent treatment in Givens' previous work on the Book of Mormon? I suspect not. Will there be abundant footnotes to the fascinating and faith-promoting insights from the "abhorrent" ones? I suspect not. Will we be told that the Kirtland Egyptian Papers may primarily serve to give us a window into W.W. Phelps views, and that the key documents that are said to show Joseph's translation in progress actually are copies made of an existing translation? I suspect not. But here's hoping for a fair shake. Anyone have an advance copy of their book that I can review? Would love to see it and hope it's helpful and fair. In my previous post, "The Smoking Gun for Joseph's Translation of the Book of Abraham, or Copied Manuscripts from an Existing Translation?," I suggested that examination of the "smoking guns" for Joseph's alleged "translation" process in creating the Book of Abraham actually don't reflect an author creating and dictating a revealed text, but appear to reflect two scribes seeking to make a copy of an existing document. The process began orally, with somebody, possibly one of the scribes, reading an existing text out loud as both scribes then copied what was read. Then Warren Parrish quit writing at and that point, the manuscript by Frederick G. Williams shows that his copying process probably became based on looking and writing rather than listening and writing, evidence by an accidental repeat of three verses of text. If Williams were reading the text for Parrish's benefit, or if a third party were reading it for both of the scribes, when Parrish left, there would be no need to keep reading, and Williams could simply copy the text directly by hand. If Williams were the speaker, as I proposed, and had the text before him, he would have had the benefit of seeing how unusual names were spelled, and thus would be less likely to introduce misspellings that needed correction when it came to proper names. So let's look at the typos in proper names in these two manuscripts and see how they compare. I awoke with this idea and did not know what the results of the inquiry would be as I wrote the above text. So let's see how my hypothesis holds up. Parrish is not a great speller, giving us "preist," "sacrafice," "fassion" (fashion), "patraarch," "govermnent," "pople" (people), "Idolitry," "deliniate," "runing," and "smiten," but he spells names consistently, with the exception of capitalization and one typo for Pharaoh. Williams, on the other hand, has significant variation in his spelling of unusual words, suggesting that he was writing down what he heard for the most part, while Parrish might have been looking at what he was writing or was able to see it when needed if someone else were dictating, so his unusual words are spelled accurately and consistently. Based on the data, it seems unlikely that Williams was reading the text, but much more likely that Parrish was, or that he could at least see the text when needed to see how unusual names were spelled. My original hypothesis (Frederick G. Williams as a possible reader) is overturned. Update, April 19, 2019: When Warren Parrish wrote the third Book of Abraham Manuscript, Manuscript C, the transcript at the Joseph Smith Papers says he wrote "Rahleenos." I think this is a mistake. It certainly looks like Rahleenos at first glance, but in the same verse, the way Parrish writes "K" in "King" is identical to the letter that is followed by "ahleenos." In other words, it's clear that he also wrote Kahleenos. 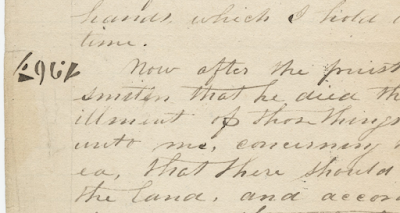 There are no capital Rs in that document to see how he would have written Rahleenos, but you can see many capital Rs in other documents such as his "Minutes, 3 September 1837" at the Joseph Smith Papers site. His capital R is much different than his capital K. Is our current "Rahleenos" an error or does it reflect what was on or should have been on the original but missing document from Joseph's translation of the Book of Abraham? When Rahleenos appears again in an 1842 manuscript from Willard Richards, that "R" looks an awful lot like the "K" in the word "King" shortly before it, but there is an touch of extra ink in that "K" that distinguishes the two. He joined the Church too late to be involved in the early Book of Abraham work, but it shows that in handwriting of that era, it was possible for a "K" and an "R" to look quite similar. Curious to know what Joseph originally dictated. Monday morning was gloomy. Perhaps my most depressing day over my 8 wonderful years of ups and downs in China. This was a day of confronting some painful suspected realities. I can't share details, but I was struggling with an unusually aggravating situation and a sense of injustice in a scenario that makes even seasoned, cynical experts on life and work in China say "wow." I struggled though the morning trying to get a few things done. But there was a new distraction. That morning I received a call from the Chinese President of the Shanghai Chapter of the BYU Management Society. This is a wonderful non-religious group dedicated to promoting moral and ethical leadership in the world, and I've been selecting speakers and organizing sporadic events over my years here in China. But for the event I had planned for Wednesday night, April 10, well, as of Monday morning we had a grand total of 1 RSVP. Ouch. I had already spent my morning time before work started making last minute invites. Maybe I needed to do a couple more. So right before my lunch hour, I remembered an old friend, Mr. Liu, who had left our company in 2017 but was still living somewhere in Shanghai. Did I have his email? I looked it up and was about to send him our flyer when I realized I was starving and needed to get some lunch. With my friend on my mind, I went downstairs and noticed how beautiful the weather was. Instead of eating at one of the roughly 100 places all around and beneath our offices at the amazing Shanghai Arch and adjoining Archwalk Mall, I went on a walk and really felt I should head south to Xianxia Road. I recalled a building there with several Japanese restaurants. Surely there would be something really delicious to cheer me up. Food matters here in China, and it matters to me. So with high hopes, I walked into that building and immediately noticed a beautiful advertisement for what looked like a perfect meal for me, with veggies, my favorite fruit (red velvet dragonfruit) and some healthy salmon. Great! I went downstairs and spent too much time scouring the menus of three restaurants in search of that meal. I asked and tried to recall the full name of the dish, but got a strange look. So I went back upstairs to photograph the ad (shown at the right), came back down, and finally found the restaurant that offered the beautiful dish in question -- or used to offer it, back before they discontinued it long ago, without bothering to take down their ridiculous ad that didn't even say which restaurant supposedly had that dish. No problem -- for all I know, the photo was probably heavily Photoshopped anyway and the actual food may have looked more like chicken nuggets with a piece of wilted lettuce. But there was a problem. I had already wasted 30 minutes of my lunch hour in moving from my office to that building and puzzling over multiple menus in my quest for something that didn't exist. Should I even bother eating now? I could just go back to my office and sulk productively. No, I had felt that I really should come this way, down to Xianxia Road. So now what? I stepped outside and looked down the road and remembered there was another group of restaurants on Xianxia Road about 200 meters to the west (about 200 yards for those of you still not using the metric system). I walked over there and went in, thinking I would try a busy noodle shop I had seen there. Alas, it was closed! As was another Japanese place I had tried once before. And the Tibetan place upstairs. Sigh. I looked down a long hallway and saw some lights that might be for a restaurant. I started walking there and realized it was just a drink shop or something small, so I turned around and started walking back to my office, giving up on a decent meal today. That's when I heard a voice calling my name. "Jeff! Jeff!" I was surprised for I didn't expect any colleagues from work to be over here. I turned around and saw an old friend, Mr. Liu, the very person whose name and email address were pulled up on my computer waiting for me to send him a flyer. The very person I had been thinking about as I began my walk. What was he doing here? There are several million people living between where I work and where he now works. I was really dumbfounded. He and two other colleagues from work had decided to get together at lunch for a reunion, and somehow ended up at a tiny drink shop with one table and three chairs. They were sitting around the table, chatting, when Mr. Liu spotted me. I told them my story, and we all agree that this was a classic case of China's beautiful and mysterious concept of yuanfen (缘分), often translated as destiny or fate, often conveying the notion of the touch of heaven's hand in bringing people together. It was a classic China moment and we all realized that. China is a land of miracles and deep spirituality for all its overt atheism, which often is just a lack of organized religion in the lives of people who may still be keenly interested in the spiritual and aware of heavenly forces in their lives. Adding to the mystery of this experience is the drink Mr. Liu bought for me. I was simply stunned that this little shop could offer such a heavenly beverage, a perfect mix of real mango and a coconut cream sorbet of some kind that was not too sweet and rich in real fruit and coconut, perhaps the best beverage/dessert I have had in China. And then, since there were four of us but only three seats in the drink shop, we moved next door to an ancient Chinese coffee shop called "Starbucks." Sensing trouble unless we bought something, I rushed over to the counter and quickly picked a little sandwich with some roasted veggies between a couple layers of seed-studded croissant triangles. They warmed it up, and moments later I was in heaven again because it was surely the best tasting sandwich I can recall eating in China. Perfect for my tastes. Good friends, good food, a tiny miracle and tender mercy -- what was I whining about? Who cares about my little grievances? Oh, right, the Lord cares, and while He does not seem interested in fixing those minor problems, He did kindly reach down today and show me something wonderful: that He is there, that good friends are there, that miracles and blessings abound in spite of problems I can't solve, and that I should rejoice and be cheerful. I went into that building with closed doors and shut-down restaurants feeling gloomy, depressed, and hungry. In an instant, everything changed, and moments later I left feeling uplifted and satisfied both physically and spiritually. I was content and at peace. My problems didn't change, but I did. I would not take the confrontational approach I had contemplated. I had fasted the day before and the impression I got was in the scriptures: "If someone asks for your cloak, give them two. If someone smites you, turn the other cheek." I understood that mentally, but it wasn't in my heart. I needed something more to help me change, and that magical moment did it: "Jeff, Jeff!" Mr. Liu and one of his two friends there would both come to the BYU Management Society event last night. We had 23 people there and it was tremendous. A fabulous lecture from an expert on senior care and lots of networking and more obvious yuanfen magic happening. I left that event truly grateful and joyous. Monday afternoon, when I met with some significant people, I completely abandoned the tough, aggressive questions I had planned. I brought along a couple of cloaks and gave generously. Turned my cheeks all sorts of directions. I was content, peaceful, a team player, and what might have been rifts became bonding with people I discovered were actually really decent people I liked. Friendships were formed. It was an awesome day, one of my best. Wish I could share some of the exotic details, but I have been deeply blessed. From belligerence to peacefulness, from anger to contentment, from depression to joy, from hunger to marvelous satisfaction, all with one little touch of the Master's hand and a sweet, utterly improbable encounter in a classic China moment. How I love this land and how I love the blessings of the Gospel in my life.